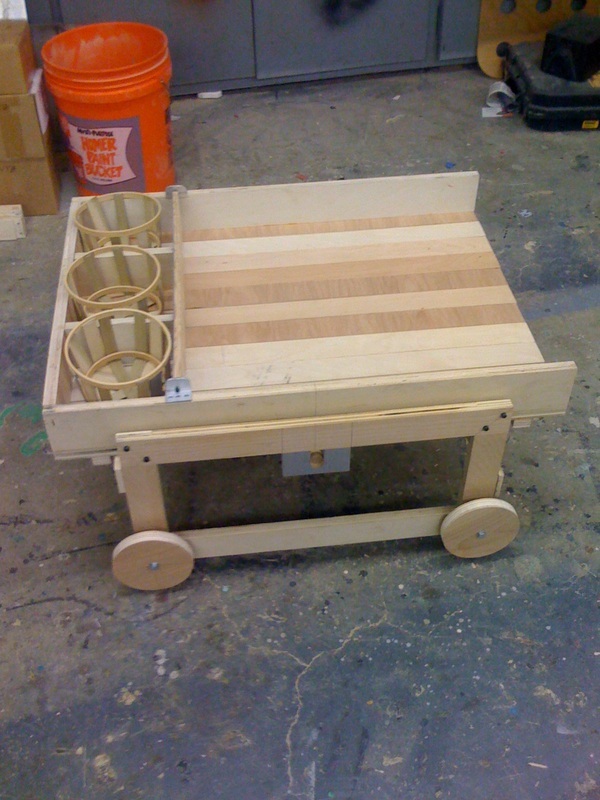 Assemble developed three Interactive prototypes for a children's environmental education program that explores balance in our ecosystems and sustainability issues in the Chesapeake Bay watershed. 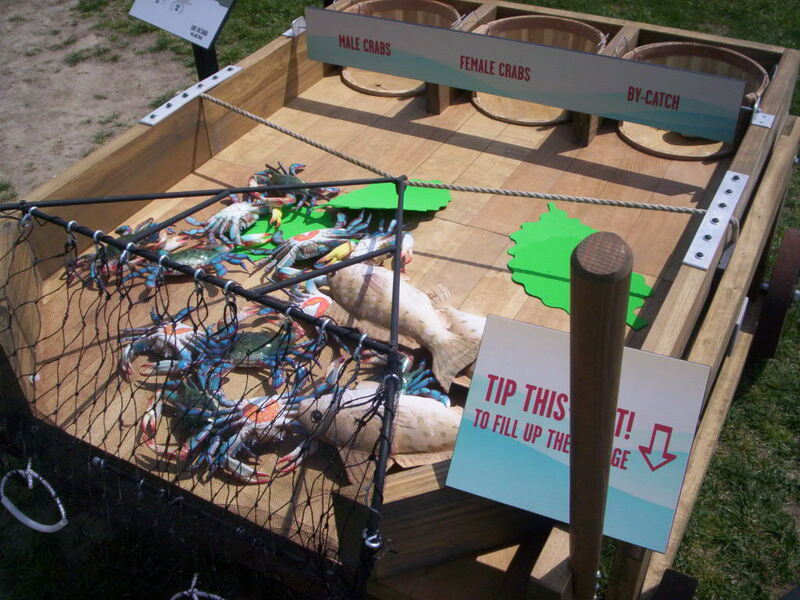 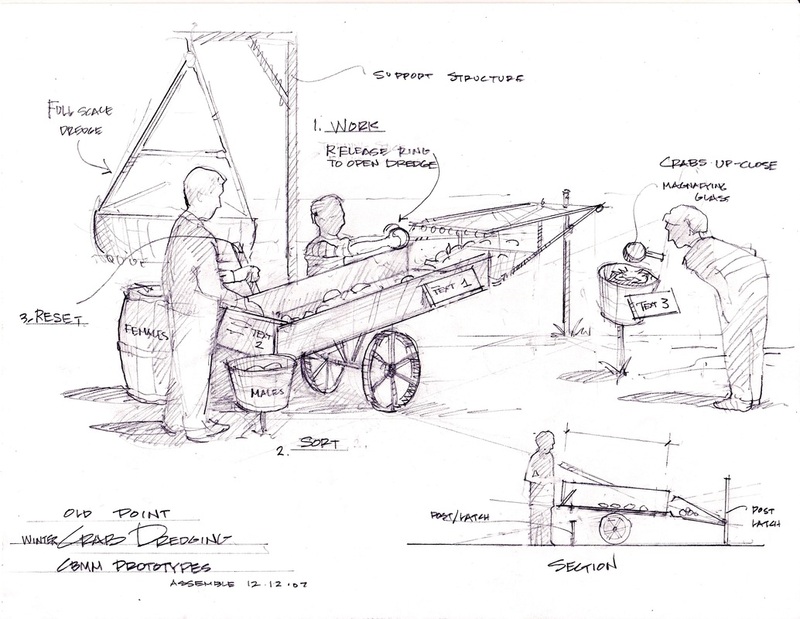 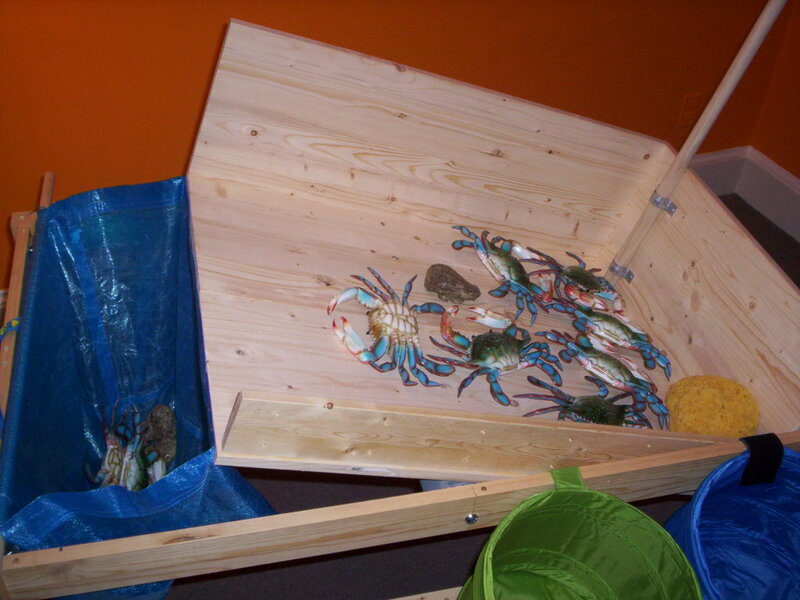 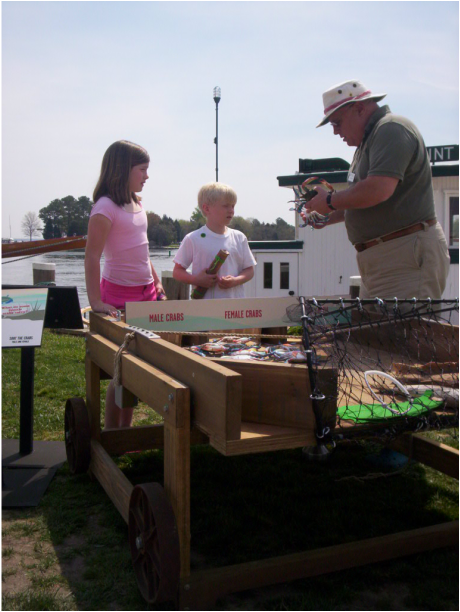 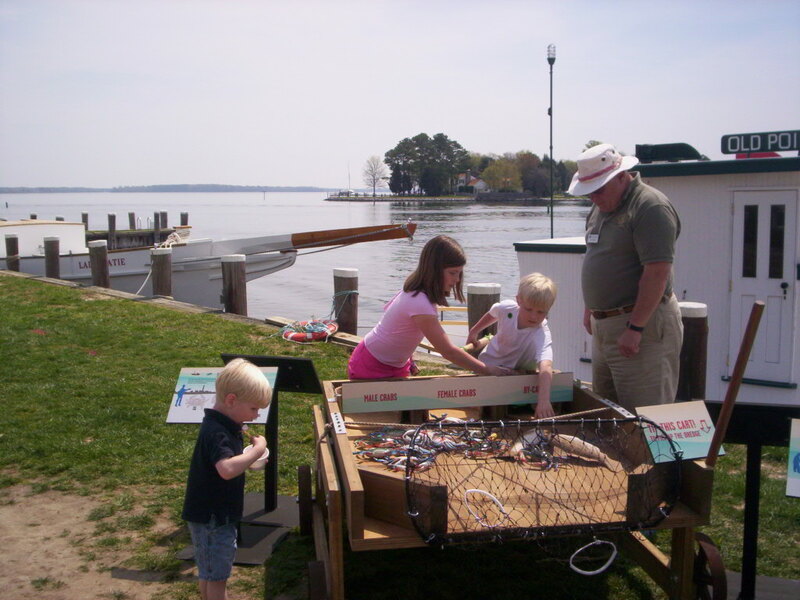 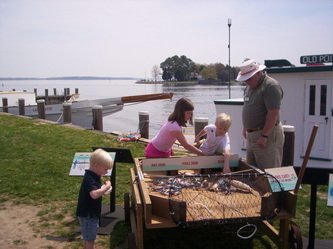 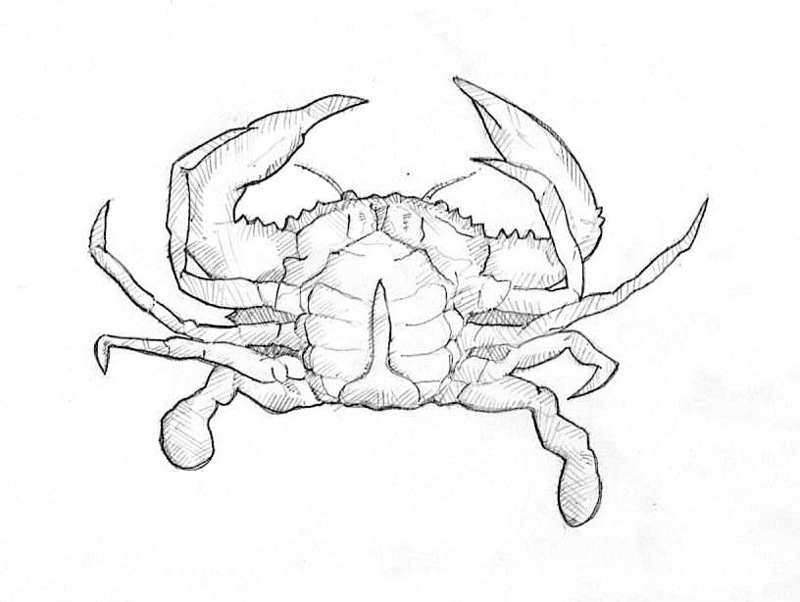 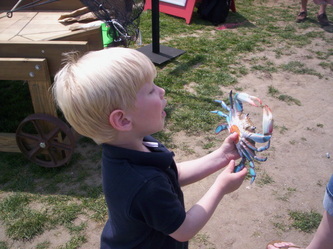 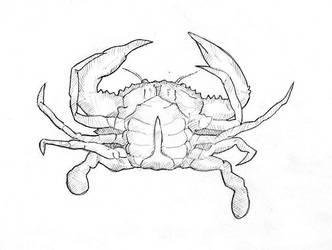 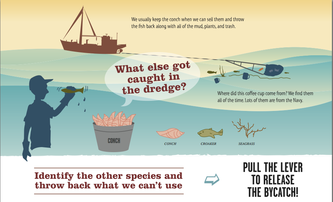 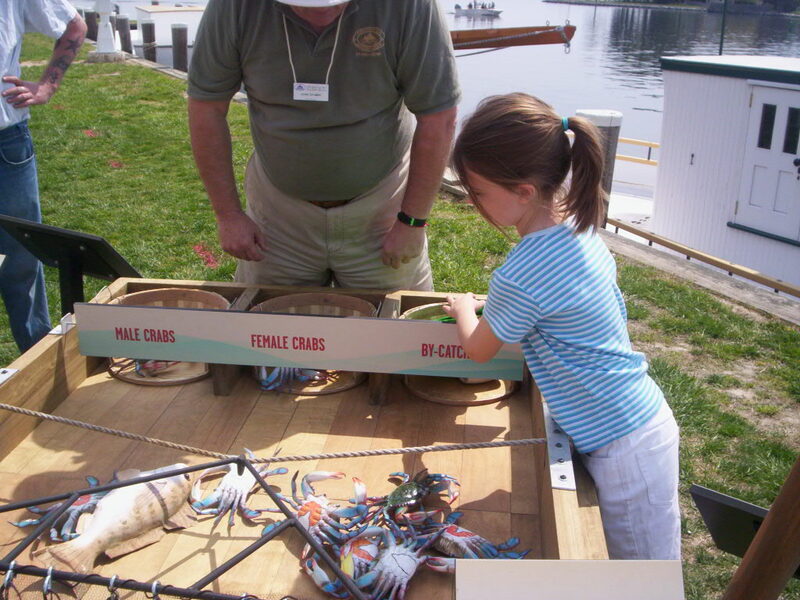 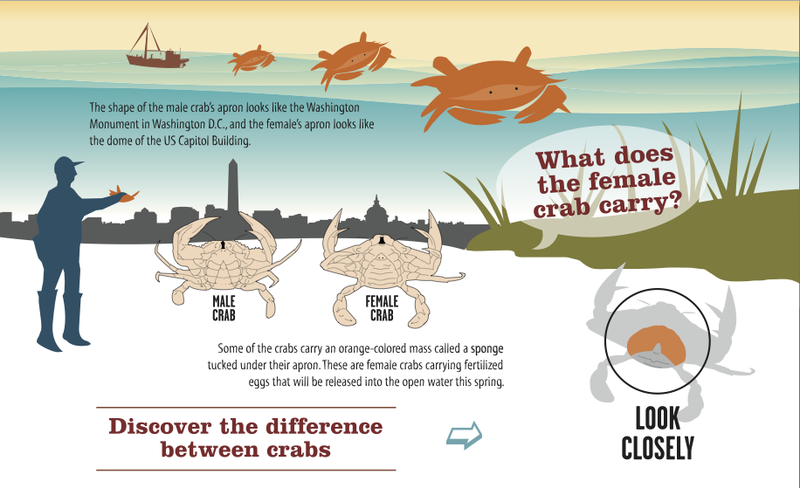 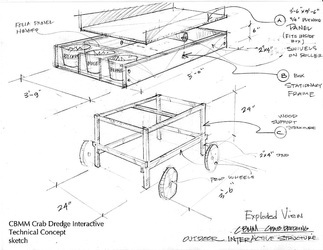 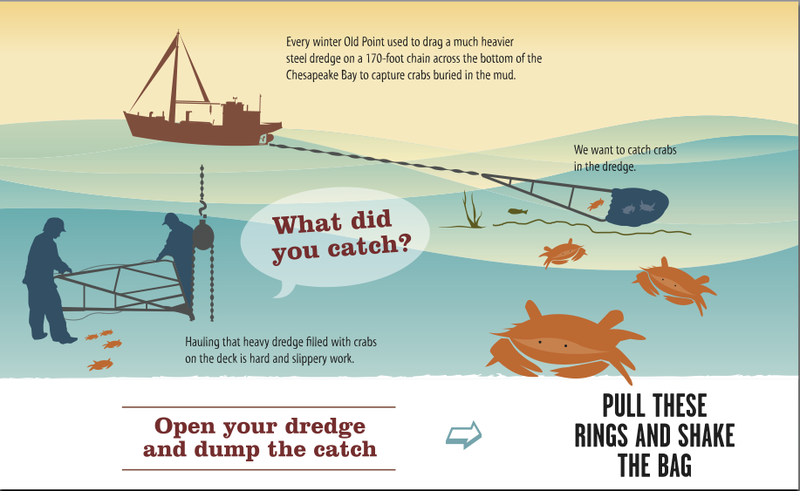 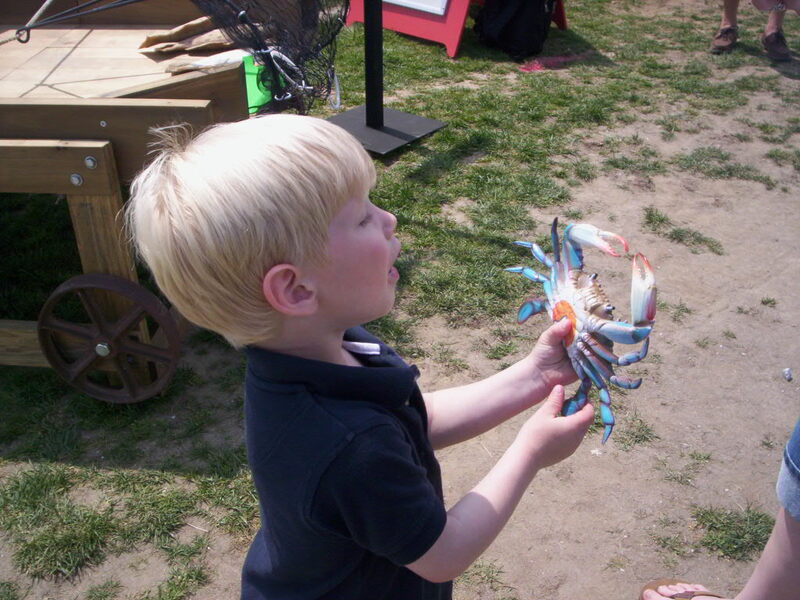 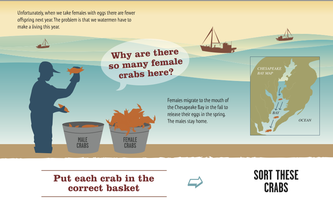 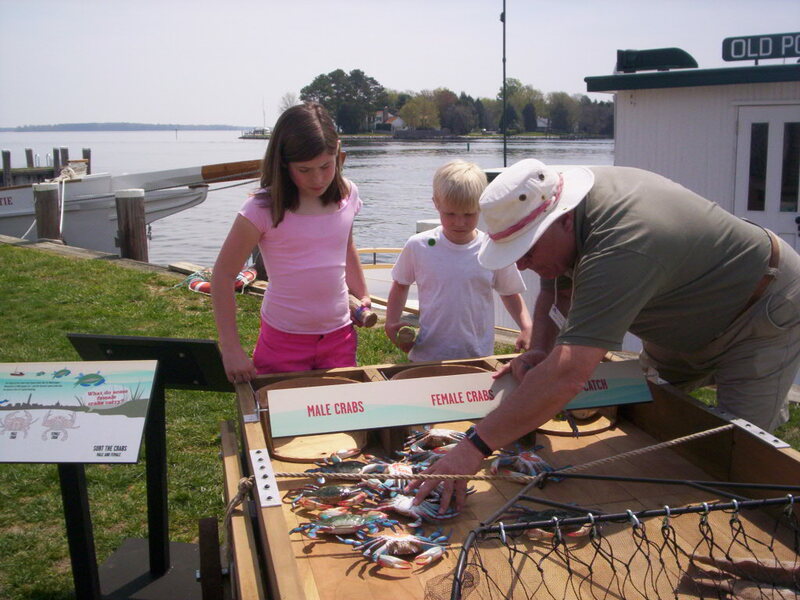 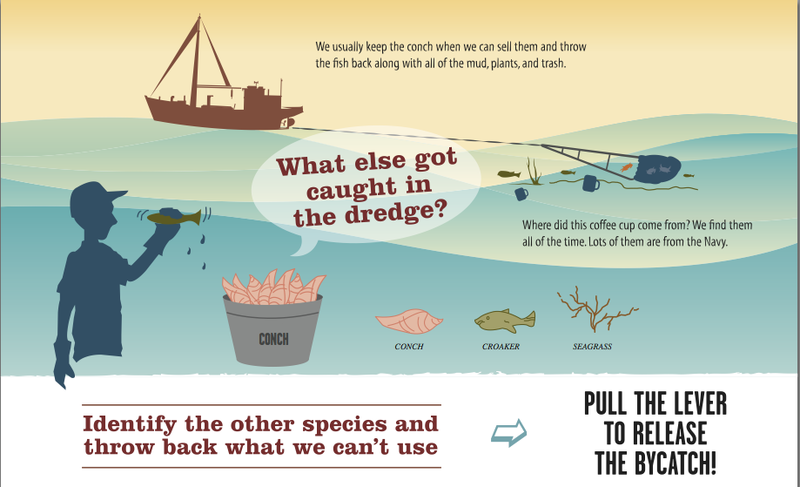 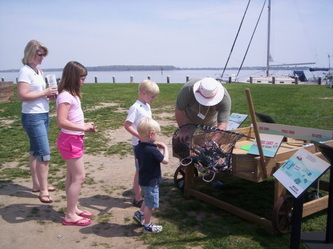 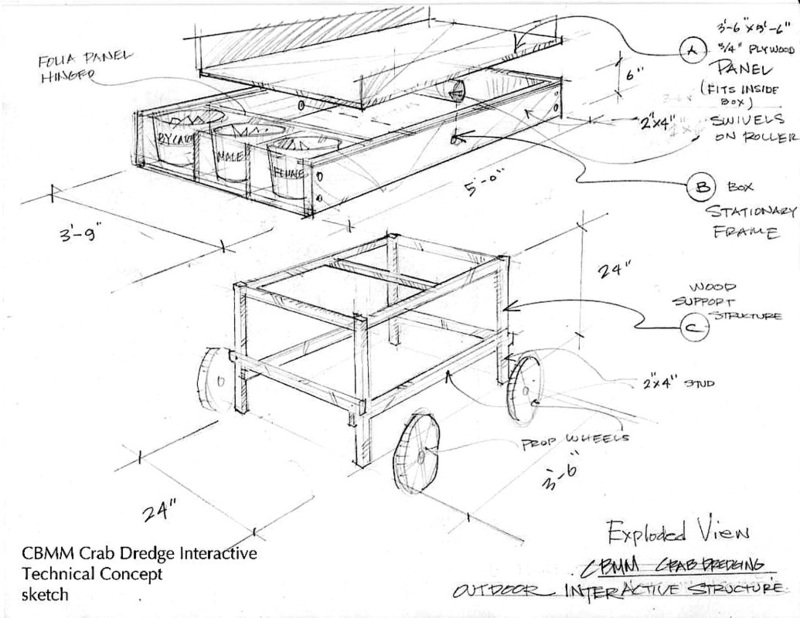 Crab dredging interactive supports interpretation on the site of the crab boat Old Point. 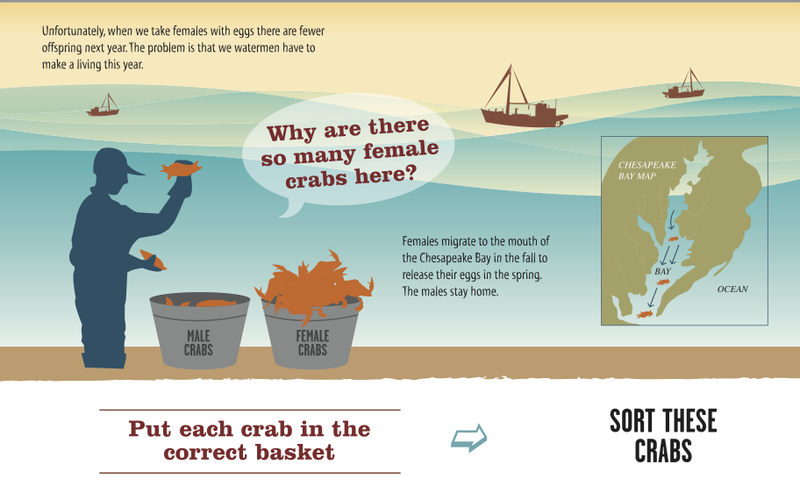 Learning about the biology of blue crabs leads visitors into a better understanding of sustainability issues in our fisheries. 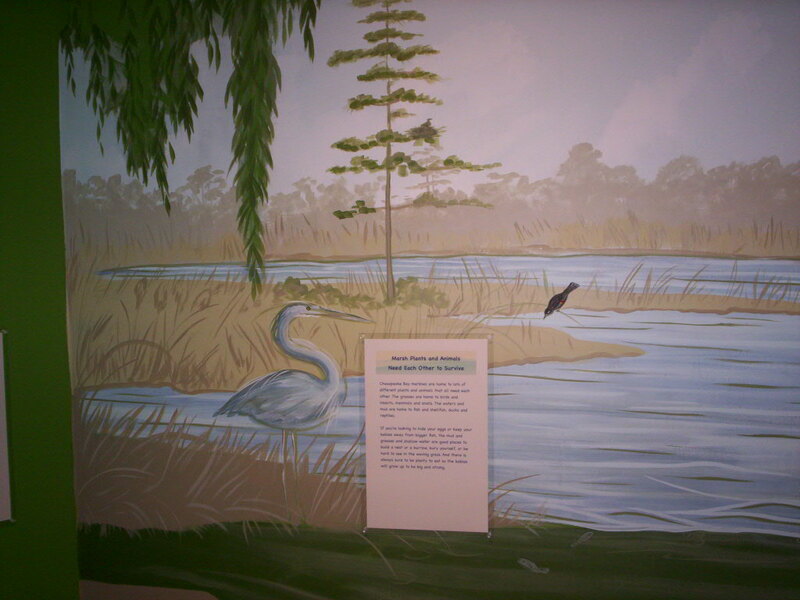 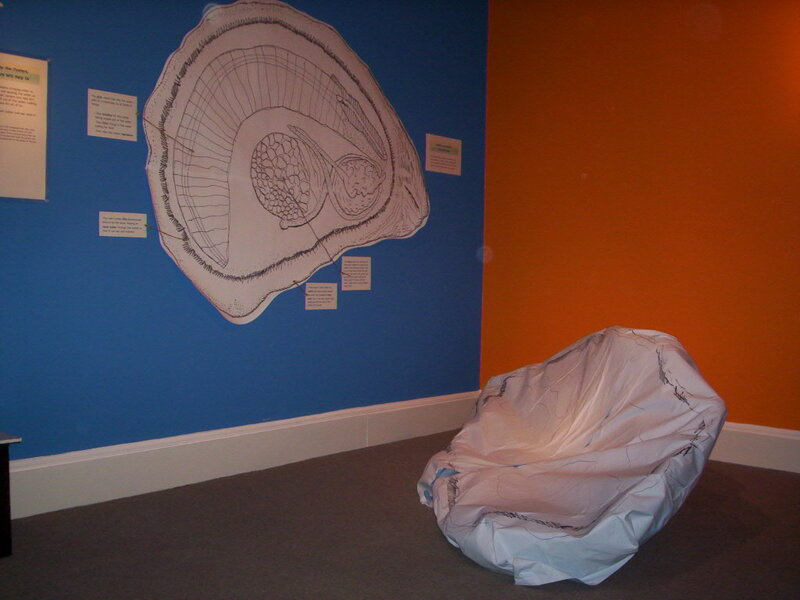 Concept for an interactive wall graphic interpreting wetland ecosystems.